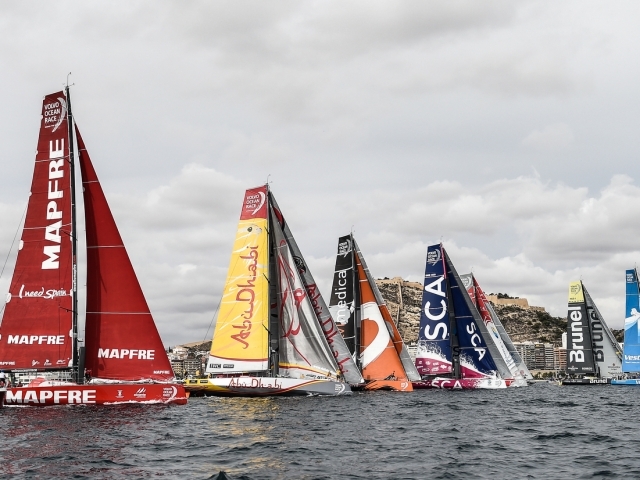 The Volvo Ocean Race 2017-18 will begin on Sunday, October 22 – in almost exactly one year’s time – when the starting gun is fired in Alicante and the teams set out to complete a total of 45,000 nautical miles of offshore racing, over a course that takes in 11 landmark cities in five continents over eight months. Questo articolo è stato pubblicato il venerdì 21 ottobre 2016, 13:43 ed è salvato sotto Volvo Ocean Race. Puoi seguire ogni risposta a questa entry tramite RSS 2.0. Sia i commenti che i ping sono chiusi.